An LED spotlight is an assembly of multiple light-emitting diodes (LEDs) inside traditional light containers, such as bulbs or lamps. 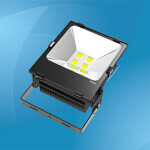 While incandescent and fluorescent spotlights have long been the preferred choice for users primarily due to their prices, LED spotlights have been steadily gaining market share in recent years owing to the massive drop in worldwide prices for semiconductors beginning from 2000, the incredibly low power requirements of the electroluminescence process (occurring at room temperature), which grants semiconductor compounds inside the LED their light-emitting ability, and the lower power to illumination ratio of LEDs as well. The small size of the LED allows for a more flexible distribution inside light containers, granting a more focused spatial light distribution, especially vital in large sporting or entertainment venues. The longer lifespan of LED spotlights, which could conceivably last for up to 25 years! This contrasts sharply with the average lifespan of fluorescent and incandescent bulbs, which typically averages at 1,000 and 8,000 hours respectively. 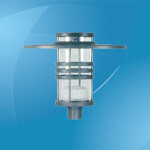 Manufacturers have also increased the appeal of LED spotlights by producing ready-made replacement models for existing fluorescent or incandescent spotlight fixtures. In addition, like any new technology, the LED spotlight manufacturing process will continue to produce even more efficient, powerful and longer lasting models. While earlier generations of LEDs are sometimes criticized for their low lumen (light emission per second within an area/ one steradian times one candela) output, over the last several years, they have comfortably overtaken fluorescent, incandescent and even halogen lights output. 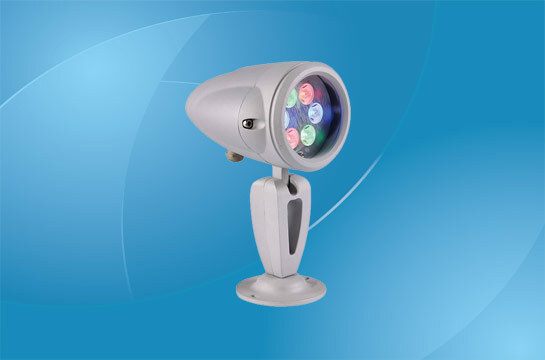 Modern day high-powered LED spotlights generate between 10% and 60% higher illumination at significantly lower costs, with savings ranging from 23% (compact fluorescent lights) to 83% (incandescent lights). Middle range LED spotlights usually provide 140 to 300 Lumens of white light, which can only be matched by higher range and considerably more expensive light variants. 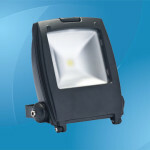 The power consumption to light production ratio of LED spotlights is phenomenal. Several tests have shown that each LED inside a spotlight could produce about 100 Lumens of light using just 0.3W energy. Using this scale, only halogen spotlights come anywhere close to LED spotlights, clocking a laggardly 12.5W per 100 lumen. Commercial and home LED spotlights are powered either by direct current (DC) from 120V-240V mains or multiple D-Cell batteries (normally alkaline). The longer lasting battery life is particularly useful for placement of LED spotlights in high or hard to reach locations. Additionally, several models have wireless features, accessible through the use of remote controllers. 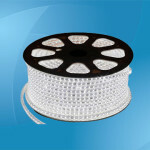 LED spotlight illuminations are noted for their even and warm chromatic dispersion. The field of dispersion for LEDs, customarily fixed between 15 to 45 degree angles, allows for optimal array configurations that produce more focused and denser beams. LED emissions are also noted for their close similarity to the sun’s natural white light wavelengths. 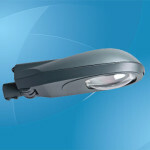 Motion sensor-equipped LED spotlights have become quite popular with commercial and high end residential units. 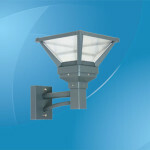 The quick activation time of LEDs makes it a perfect match for sensitive and long range motion sensors (30 ft. – 100 ft.). Also, repeated activation and shutdowns do not cause performance issues with LED spotlights. 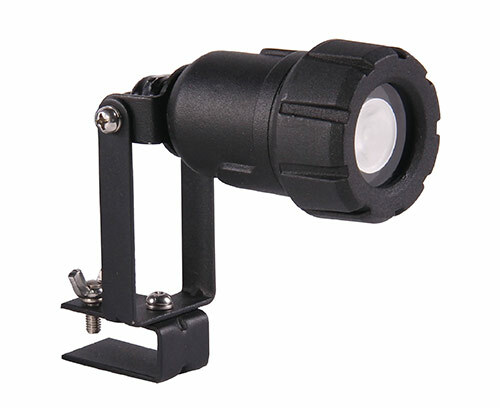 Spotlights are generally used outdoors, and thus, require great resistance against the weather and small animals. 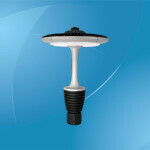 LED spotlights, usually built with less components compared to other forms of lighting devices, are well-suited for the rigorous demands of the outdoors. 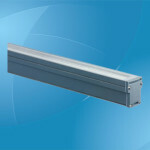 Weather resistant casings and tight seals are standard design features. However, since LEDs performance is affected by high operating temperature, units are often equipped with heat sinks to siphon off excess heat. The lifespan of LED spotlights are expected to be approximately 50-100 times that of other bulb variations. In fact, a study conducted by Cambridge University revealed that certain LED lights could stay lighted continuously for 11 years! This has naturally raised concerns with major lighting manufacturers over future business models. However, tellingly, it has not stopped the focus on LEDs in their R&D budget. The CEO of Philips Lighting has even gone on record stating that the company will not be “spending one dollar” for future fluorescent research. 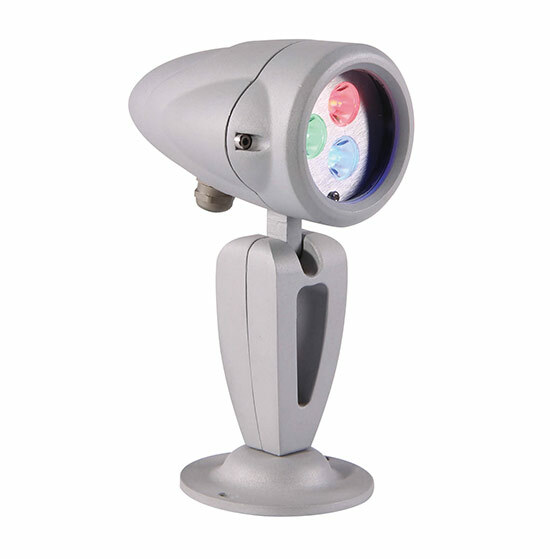 Power: 8.1W; Input voltage: AC100-277V/DC24V; Light sources: Single color or RGB LEDs, 3 pcs; Emitting color: White/Red/Green/Blue; Luminous flux: 284 lm; Install style: Ground spike; 360°adjustable in horizontal direction, forward elevation 15°, backward elevation 30°; Auminum die-castng with anti-aging and antistatic surface treatment; toughened glass diffuser. 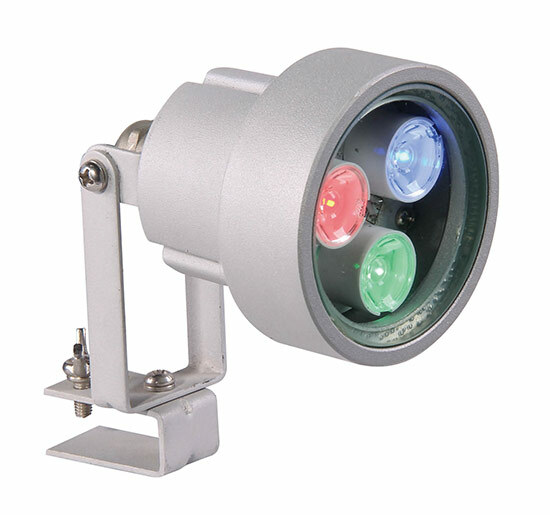 Power: 4.1W; Input voltage: AC100-240/DC24V; Light sources: Single color or RGB LEDs, 3 pcs; Emitting color: White/Red/Green/Blue; Luminous flux: 284 lm; Installation style: Ground spike. 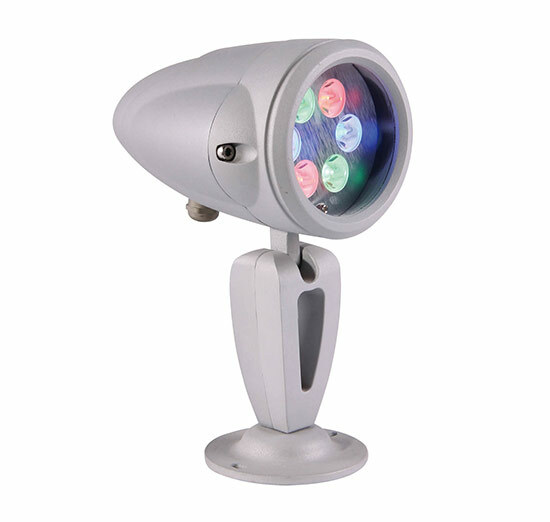 Power: 8.2W; Input voltage: AC100-277V/DC24V; Light sources: Single color or RGB LEDs, 6 pcs; Emitting color: White/Red/Green/Blue; Luminous flux: 538lm; Install style: Ground spike; 360°adjustable in horizontal direction, forward elevation 15°, backward elevation 30°; Aluminum die-casting with anti-aging and antistatic surface treatment; toughened glass diffuser. 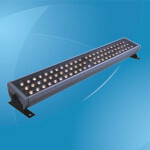 Power: 1.4W; Input voltage: AC100-240/DC24V; Light sources: Single color LED, 1 piece; Luminous flux: 165 lm.